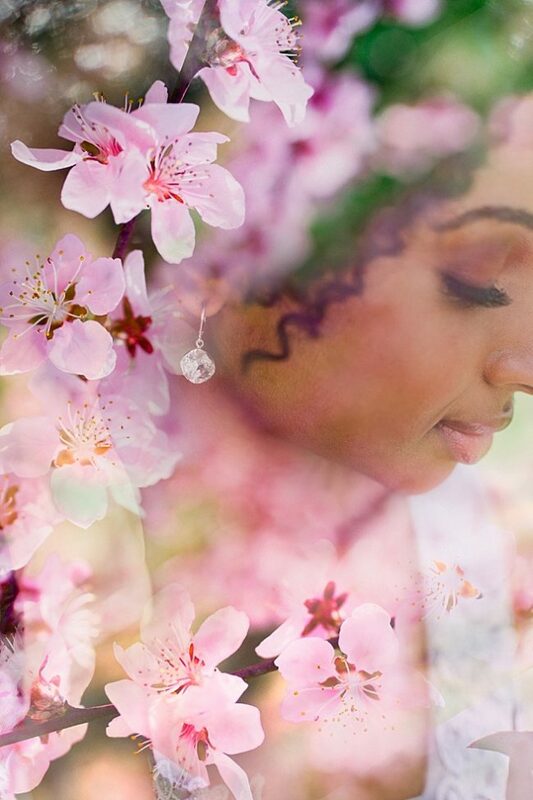 Our Dusty Blue & Opal Bridal Headpiece sparkles under the cherry blossoms in this springtime photo session! 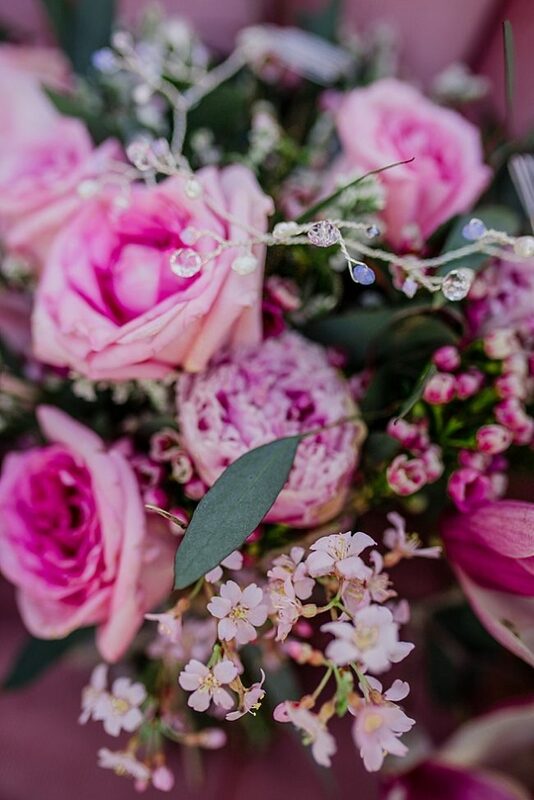 Here in Baltimore, Spring seems to be taking its sweet time arriving. 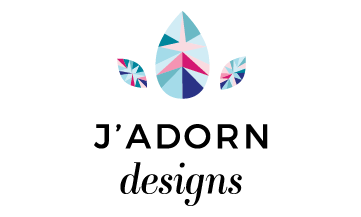 But despite the fact that we’re still having temperatures in the 40s, the cherry blossoms opened right on schedule. 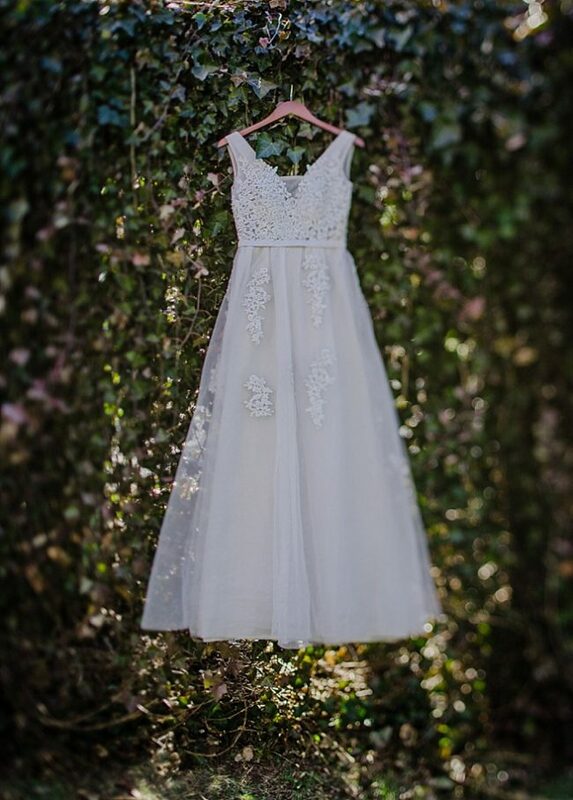 Thank goodness!So even though it doesn’t feel like spring, the plant life outside looks perfect for a spring wedding. 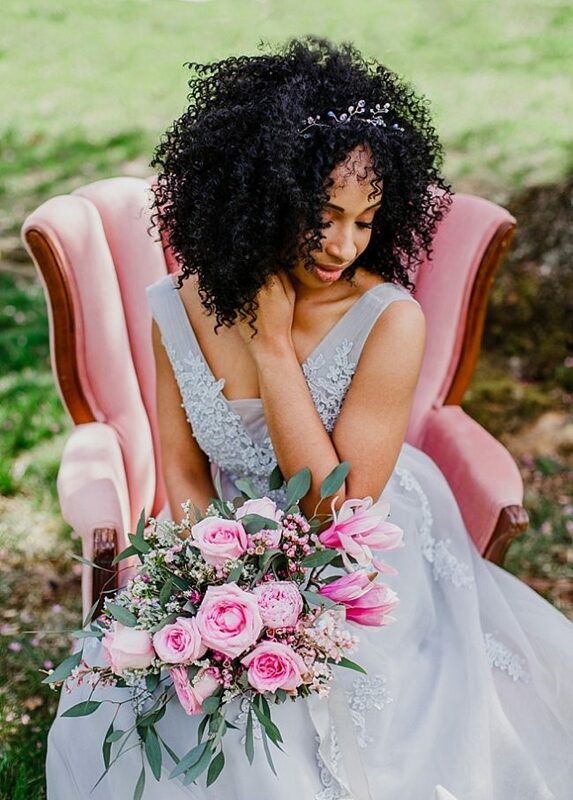 With the cherry blossoms as inspiration, I teamed up with a few fellow Baltimore area wedding vendors from TuesdaysTogether Catonsville to style this beautiful spring wedding photo session! 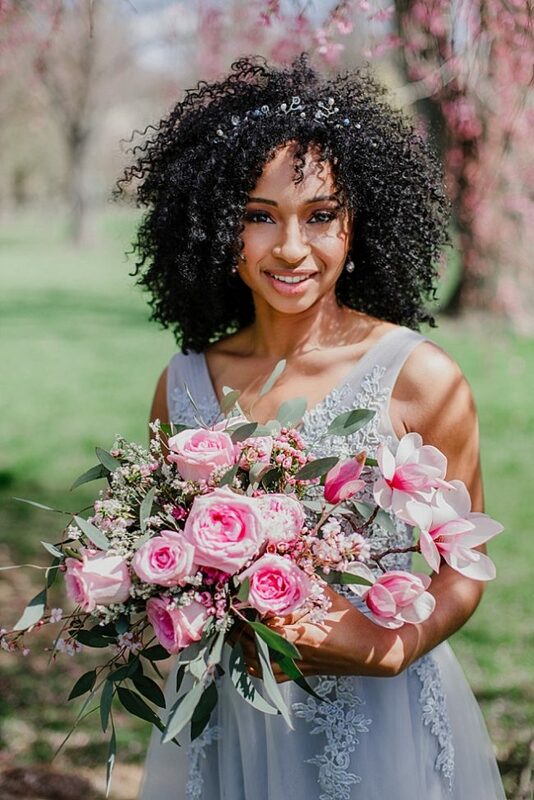 Our model for this cherry blossom bridal session was C’yana Tavae, a new friend who I met just a few weeks ago during the J’Adorn pop-up shop at Simple & Feminine in Ellicott City. 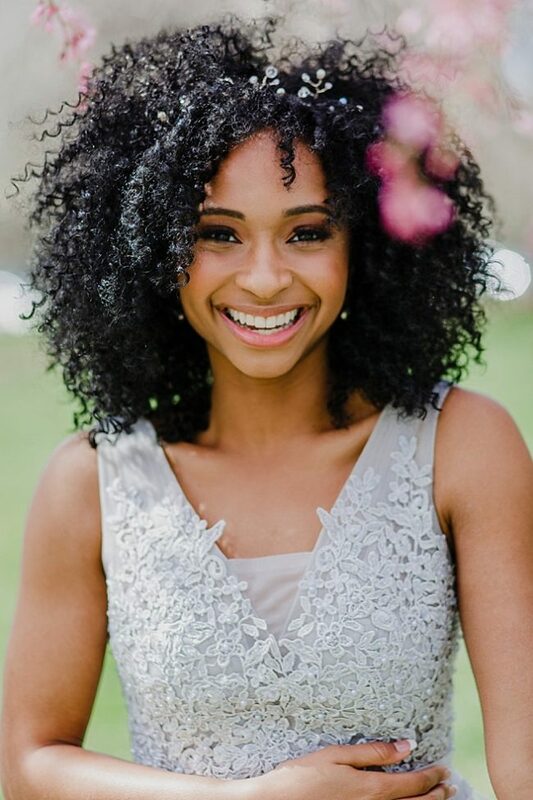 She’s a Maryland native who won Miss Washington County 2018 and will be competing for the Miss Maryland title. 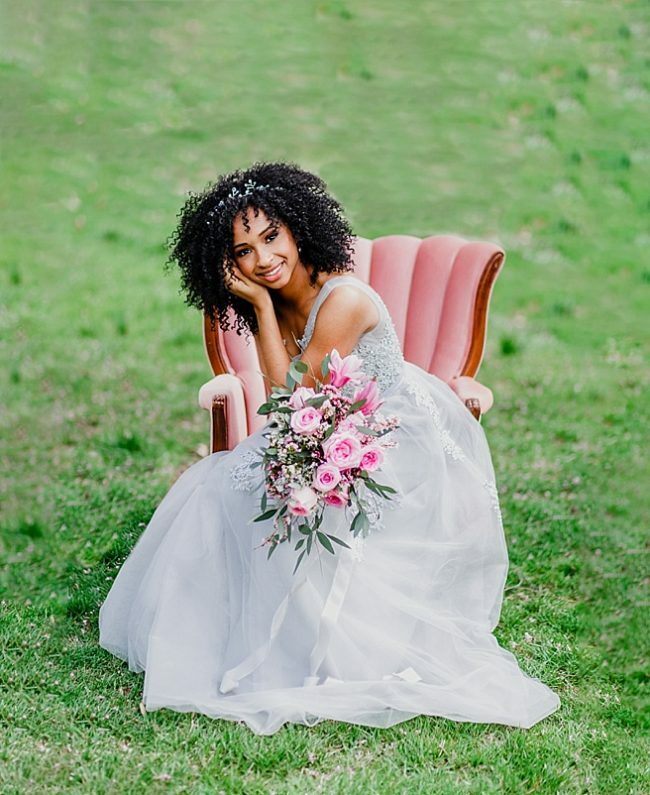 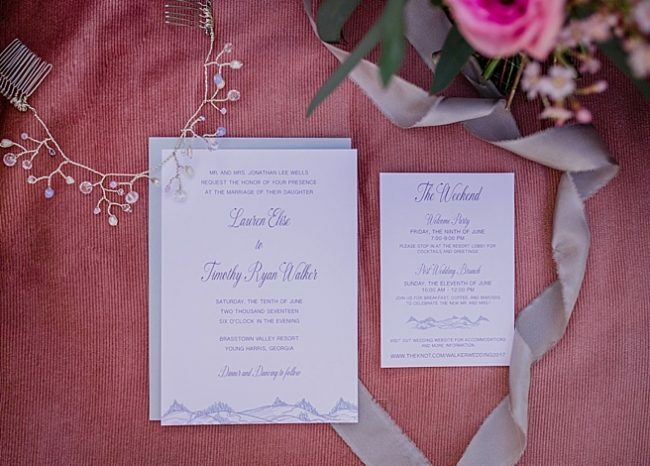 I’ll be sharing a bit more about the inspiration behind this bridal photo session and our team’s vision in a later post, but for now enjoy this selection of my favorite photos from Katherine Elizabeth Photography! 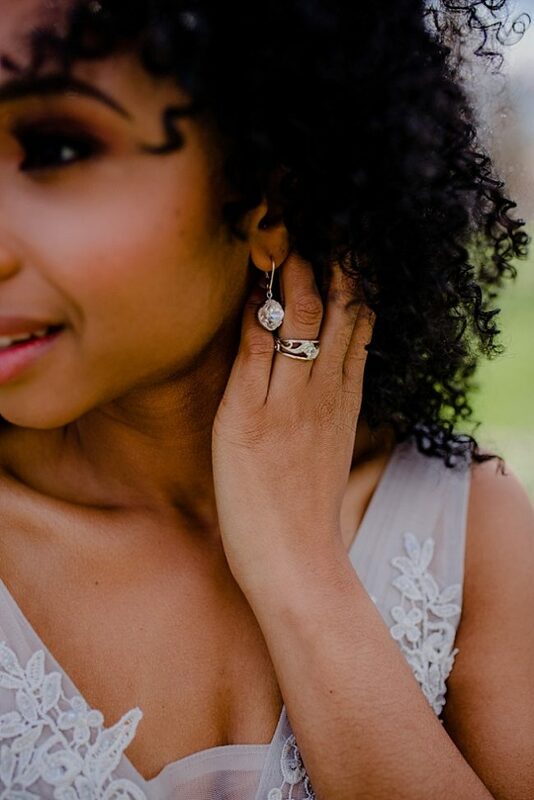 Scroll through to the bottom to check out the bridal jewelry featured in this look and our dream team of Baltimore wedding vendors. 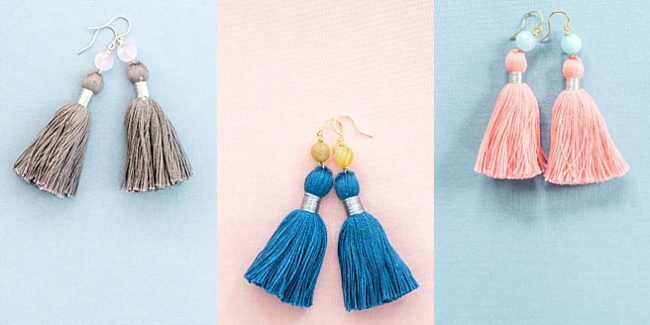 New to the J’Adorn Designs Jewelry Shop: The Tassel Collection! 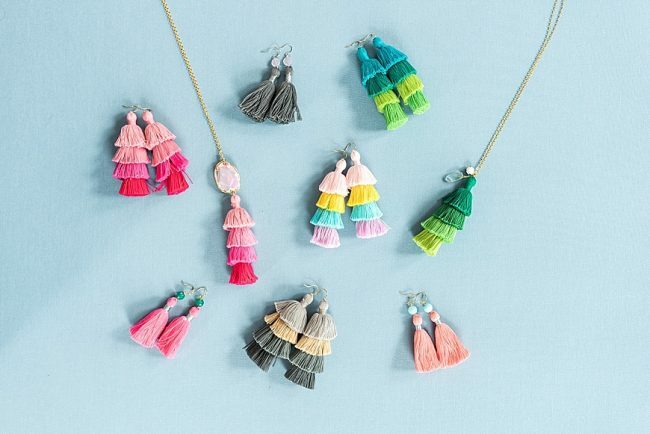 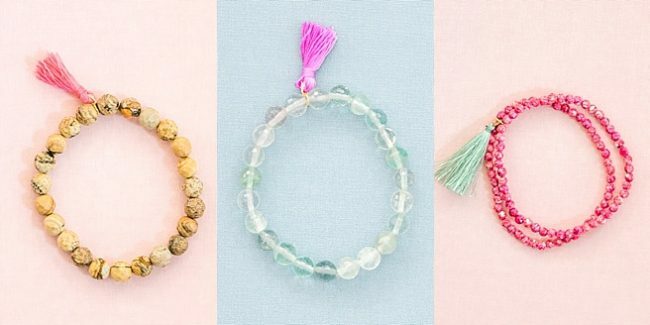 The Tassel Collection has the perfect piece of colorful jewelry to brighten up your wardrobe in time for spring’s new fashions! 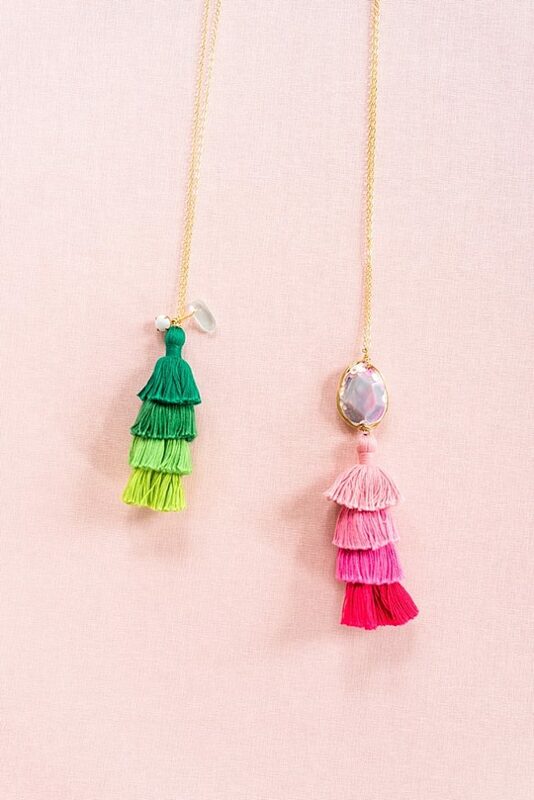 Shop The Tassel Collection now!